Their aim was to establish what modelling and analysis can be done to determine Hydrogen’s place in future energy system models. Most workshop participants were members of the International Energy Agency Hydrogen Implementing Agreement (IEA HIA) Task 38, which examines hydrogen as a key energy carrier for clean energy systems and currently comprises over 50 experts from 15 countries, coordinated by the French CEA/I-tésé and supported by the French ADEME. The workshop was sponsored by the Institute of Sustainable Energy and the Environment (I-SEE) and the International Office at University of Bath and was led by Dr Sheila Samsatli, 50th Anniversary Prize Fellow from the Department of Chemical Engineering. Dr Samsatli leads the systems modelling work package of the IEA HIA Task 38. Participants from all over the world attending, including representatives from Air Liquide (France), Bristol Energy (UK), CEA (France), Clean Horizon (France), De Montfort University (UK), Fuel Cells and Hydrogen Joint Undertaking (Belgium), Forschungszentrum Juelich GmbH (Germany), ICSI Rm. Valcea (Romania), Institute for Public Policy Research (UK), ITM Power (UK), National Hydrogen Center (Spain), PersEE (France), Process System Enterprise Ltd. (UK), Institute of Applied Energy (Japan), University of Bath (UK), Université de Lorraine (France), University of Manchester (UK) and WaterstofNet (Belgium). The workshop was opened by Professor Davide Mattia, Associate Dean of Research for the Faculty of Engineering & Design, and Professor Tim Mays, Director of I-SEE and Head of the Department of Chemical Engineering, who gave overviews of energy-focussed research being conducted at Bath. The participants were welcomed by Dr Paul Lucchese from the French Alternative Energies and Atomic Energy Commission (CEA) who introduced the IEA HIA Task 38 and why the workshop is timely and necessary. This was followed by presentations of various energy system models from a number of the attending participants. A PhD poster competition was also held in which André Prates Pereira from the Department of Chemical Engineering won first prize and Lara Welder from Forschungszentrum Juelich GmbH won second prize. 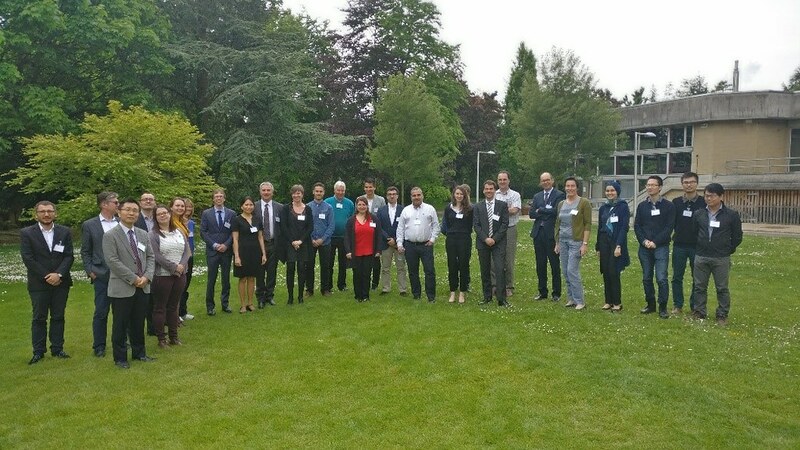 The remainder of the workshop involved lively and productive debates about the key issues and future avenues for hydrogen systems research.